Parenting while sick truly highlights the all-consuming nature of being at home with young kids. Desperately searching the internet for tips on parenting while sick, you are likely to find suggestions like stick your kids in front of a screen, or have them take a longer nap than usual. For families that limit TV time and maximize physical activity, increasing screen time so you can rest may add to the stress of the day. Here’s a plan of attack for health-conscious families who are parenting while sick. If you don’t typically stick your active toddler in front of the T.V. all day, do not feel guilty about a little increased screen time. New science-based research indicates screen time is not necessarily harmful as long as it’s limited, age-appropriate, and you watch and engage with the content with your child. If you really can’t make it off the couch, sometimes you have to do what you have to do in order to recover. At the end of the day, if you feel that you have failed, remember balance is key. If you really are worried about your child being too sedentary while you are sick, there are some great kid’s yoga videos available on various streaming services that can get your kid moving. Other activities can engage your child just as well as screens when parenting while sick. Try searching for busy bags or quiet books on Etsy. They have great ideas for engaging, quiet activities for toddlers and preschool aged kids. You can purchase them there or get ideas to make your own. They’re also great for occupying little ones while you make dinner! It goes without saying – rest as much as you can! Additionally, your nutritional choices can help ease your symptoms and speed recovery. Elderberry can help ease congestion and shorten the duration of the flu by up to three days. Chicken soup can reduce inflammation and also helps with congestion. Want more ideas on how to get better as fast as possible? 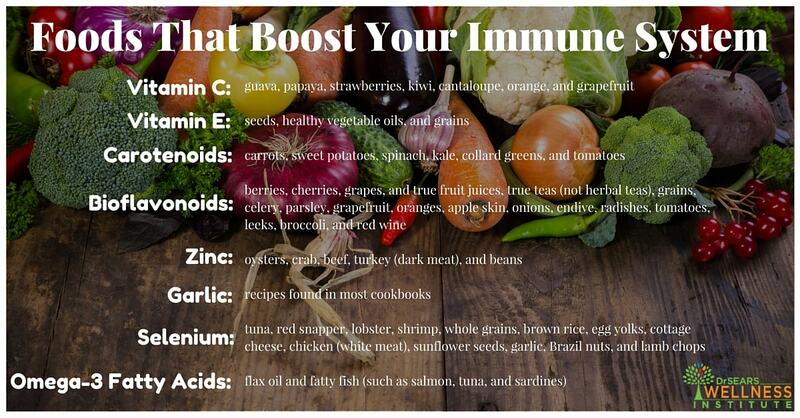 Check out Dr. Sears’ advice on other ways to boost the immune system through nutrition. Parenting while sick is really hard, but eventually, your sickness will pass. Be kind to yourself while making it through. You’ll be back in action before you know it! This post was written by Alexis is a certified Dr. Sears Health Coach, Attachment Parenting International (API) Leader, and contributing editor of API’s blog APtly Said. When she’s not busy with one of those things she enjoys baking bread and attempting yoga while her toddler climbs on her.